Updates for our search mashups. Mashup Local twitters lets you see (search) local twitters and tweets in your area (just click on the map). Mashup shows you a cloud for the current topics. It is very easy to see and estimate what the local peoples are writing about. See the previous postings also. It is always a boring task – manually type data for mobile phone address book. And here is a tool that can help - Address share widget. This component for Opera lets you once fill your own address data for the future sharing. Do not ask your partners manually type your address data. This widget lets you fill your address info and save it as QR code. 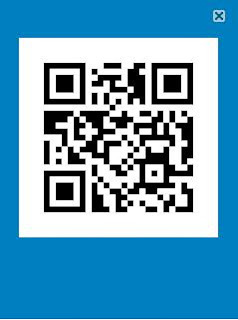 So for sharing your address data simply show that QR code right on your phone. 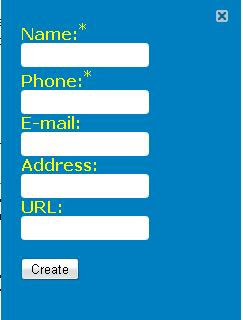 Your partner will be able to add correct data (update own address book) just in one click. Widget presents your address data in the special MECARD format. It could be recognized by the any QR-code reader. You can load this widget right from Opera portal or from our site Coldbeans. Updates for our search mashups. 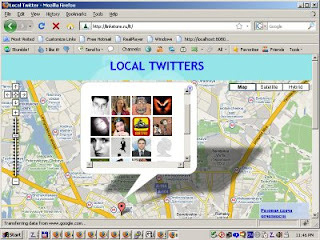 Mashup Local twitters lets you see (search) local twitters and tweets in your area (just click on the map). A new version shows you also a cloud for the current topics. It is very easy to see and estimate what the local peoples are writing about. Also you can see a list of the most active writers (again - local writers). And this list connected to the Twitter info service, so using Google Social API you can find more information about the selected blog as well as build the cloud for its own topics.